Fotolia has 28,322,693 stock photos available, one of the biggest collections around. 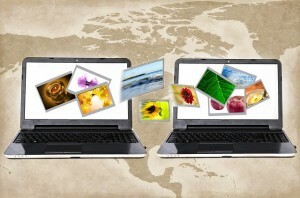 Because of their API, many other popular stock image websites (including two or three featured in this post) actually use Fotolia’s database of images. Fotolia is free to register, which gives access to all its royalty-free images with worldwide licenses that never expire. Payment plans include a pay-as-you-go option starting at ?0.54 per credit or a variety of daily subscription packages offering up to 25 downloads per day from as little as ?0.15 per image. 123RF is a digital media library offering 24 million royalty-free high resolution commercial and editorial images. There are two different subscription options – the basic plan allows 5 downloads per day at a cost of US$199 for 90 days, while the premium plan allows 26 downloads per day for US$589 for 90 days. Alternatively, single-content sales with no daily limit are available with on-demand credit packages. Dreamstime is one of the world’s leading providers of free and royalty-free stock images, with a collection of over 23 million photos and illustrations. Its database is renewed with thousands of fresh images on a daily basis, all of which can be viewed by signing up for free. To download photos you must purchase a ‘pay-per-download’ credit package or a time-based subscription plan, allowing a certain number of downloads daily. Shutterstock has 35 million royalty-free stock photos, and with 10,000 new high-resolution images added every day, the collection is expanding rapidly. Users can browse the collection by registering for free, and there are a number of simple pricing plans in order to download images – ‘25-a-day’ subscriptions start at US$249 for one month, while an ‘images on demand’ license allows images to be downloaded at any time for up to one year. iStock allows users to explore millions of unique stock photos and images, all of which are royalty-free, so you only have to pay once to use the file multiple times. There are a variety of monthly and annual no-limits subscription packages with prices starting at US$199 per month. Users can also load their account with credits in advance to enjoy click-and-go downloads. Thinkstock offers millions of premium art-directed and user-generated royalty-free photos, vectors and illustrations from over 40 collections, including Getty Images and iStock. Fresh images are added to the site every day, so there is a constant supply of new content for all types of projects. Among its range of subscriptions is one that can be paid in 12 monthly installments of US$199, offering 25 downloads per day. Since 2014, Getty Images has allowed people to embed and share many of its images for non-commercial use on websites, blogs and social media channels – all for free. Embeddable images include the latest news coverage from around the world, plus Getty’s immense digital photo archive. When clicked, images link back to www.gettyimages.com where the image can be licensed for commercial use. FreeFoto.com currently offers 132,549 images, all of which can be downloaded for free (although a link back and attribution is required). Many of its images are exclusive to the site, and new pictures are added every week. For commercial clients who may be looking for higher quality files and do not wish to provide the link back and attribution, images can be purchased from around US$30. Freeimages was launched in 2001 as an alternative to expensive stock photography and has since grown to offer over 400,000 high-quality, hand-picked stock photos, all available for free to registered users. Images are suitable for almost any purpose, including desktop wallpaper, blogs or commercial websites, and are grouped into 15 categories to make searching simple. Visitors to FreeDigitalPhotos.net can choose from thousands of free stock photos and illustrations for all types of business, personal, charitable or educational uses, including book covers, websites, advertising materials, magazines and newspapers, and ebooks. All images are of high quality, and can be downloaded without registration. There is also an option to purchase a larger version if your chosen image is too small. Matton Images has 13 million photos in its collection from many of the world’s best royalty-free image suppliers. Images are available for every taste and budget, and you can get to the photo you want quickly using an intuitive and logical ‘category and theme’ hierarchy. Many images can be purchased individually, and there are also 2.9 million high quality images available as part of a longer-term subscription. Mooch is a royalty-free stock photography resource dedicated solely to travel images. All of its photos are closely edited to ensure they are of high quality, and using them is a breeze with instant individual pricing, online purchasing and immediate download. Once registered, image watermarks can be deactivated allowing an unhindered view of the image before purchasing. Photocase has a selection of creative photos available to purchase for royalty-free use in commercial and personal projects including websites, book covers and ad campaigns. There are currently almost 300,000 photos online, which can be viewed by registering for free. To buy and download a photo, users can purchase individual items starting at US$3.60, download a credit package or take out a subscription. PhotoSpin’s image library contains royalty-free stock photos and illustrations, including many that are the work of the some of the world’s most renowned photographers. Fresh images are added to the site each month, giving subscribers millions of possibilities to choose from. Affordable subscription plans include options for 500, 750 or 1,000 monthly downloads, or single images can be purchased starting at US$2. Stockvault.net provides a place for designers and students to share their medium and high resolution photographs with each other for free. Images can be used for personal and non-commercial design work, and although relatively small (the site currently has around 45,000 images in its collection), it offers a viable and economical alternative to the larger royalty-free agencies. Dollar Photo Club is a members-only club offering access to 25 million high resolution, professional-quality images. Members pay $10 a month for access to the images, which are all royalty-free and available for any project or document with no limits on time, region or print runs. As the name suggests, images cost just one dollar to purchase, and around 100,000 are added to the collection every day. Morguefile.com offers free high resolution digital stock photographs for corporate or public use, aimed at creative types such as illustrators, comic book artist and designers. All images are completely free – the only condition is that you must credit the photographer when possible and not claim ownership of the image yourself. Freerange Stock allows registered users to download free high resolution stock photos for use in commercial or personal projects. All images are at least 2400 x 1600, and go through a rigorous quality control process before being posted on the site. Freerange is a photographic community supported by advertising revenue, so photographers get paid when users click on the ads that appear next to their submissions. Online photo management and sharing application Flickr has millions of photos offered under one or more Creative Commons licenses, including ‘attribution’ (where images can be used for free as long as the artist is given credit) and ‘non-commercial’ (where images can be used for free for non-commercial purposes only). You can browse or search through content under each type.